This morning I went over to the DMV (Department of Motor Vehicles) to get my title and tags. I was a little nervous about the tag process as I’d heard horror stories of eight trips to the DMV for paperwork, confused DMV employees not knowing what was required and not required, and generally just … the perfect storm of governmental chaos. So this morning at 8am I showed up at the DMV office with a stack of paperwork in hand prepared for anything. Well, almost anything. When I went in I explained to the clerk I needed to register a 1957 car. The lady directed me to a gentleman in the office and explained to him I needed to register a 1957 car that had been shipped in from out of the country; he seemed completely undeterred. That was a good sign. First up, showed him the MCO paperwork and he quickly deciphered it. A good sign. Passed him the T-22B form signed by the local law enforcement officer. He gave it the once over with no issues so all good there, another good sign. Passed him proof of insurance, he said it looked ok. A Good sign. A few minutes later he asked for the purchase order on the car, showed him that, and all was fine. Another good sign. About a minute after that he asked which plate I wanted to choose; antique, some special plate, prestige plate, etc. 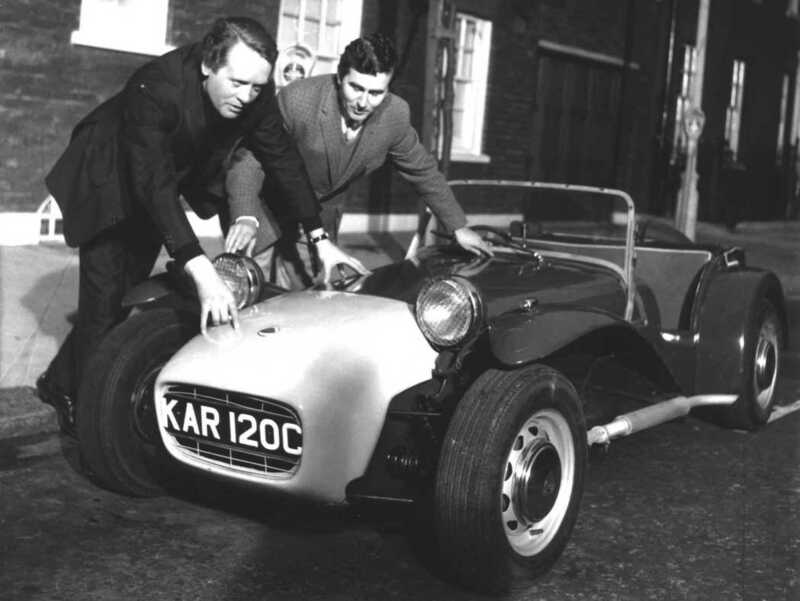 I’d given this some thought and had narrowed down the choices to three – TRSHWGN in homage to The Last Open Road, KAR120C in reference to the old Prisoner TV series in the UK, and CA07HAM which is the tag assigned to Caterham for test cars in the UK. I also had some things like SEVEN, SE7EN, and such but thought they were a little bland. A quick flip of the coin and ended up with KAR120C so went with that. A few minutes later I was handed a temporary tag, I gave them a check for $100, and I was on my way. Smooth as silk, super easy, no hiccups, and no drama. Wonderful! Wow, that was easy! Clearly proximity to the homeland of Caterhams makes things smoother. Nice plate too.